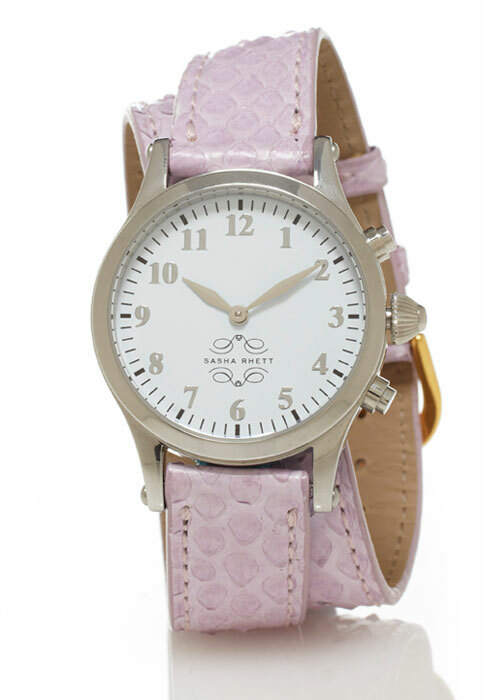 Click the button below to add the Stainless Steel Round Watch with Double Wrap Strap - Lavender Snakeskin to your wish list. Strap is easily interchangeable with all other Sasha Rhett watches. Click here for strap switching instructions. All straps available with a silver colored buckle and a gold colored buckle to coordinate with Stainless Steel plated watches and 18k Gold watches respectively.